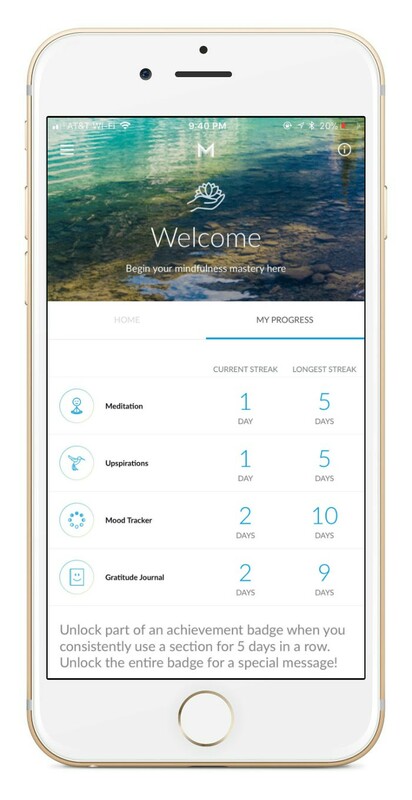 We're thrilled to announce some wonderful improvements to the Masters of Mindfulness app just in time for the holidays. From new ways to track your progress to a brand new meditation game and fun ways to share with others, there are lots of exciting things in store with our latest update. To always be sure your app is up to date, it's useful to turn your automatic updates on. Click here to do this for an iPhone, or click here to update your Andriod apps automatically. Now you can track your progress by visiting the "My Progress" tab on the homepage. You'll be able to see your current streak, which represents how many days in a row you've used any given part of the app, as well as the longest streak you've ever had for any section. 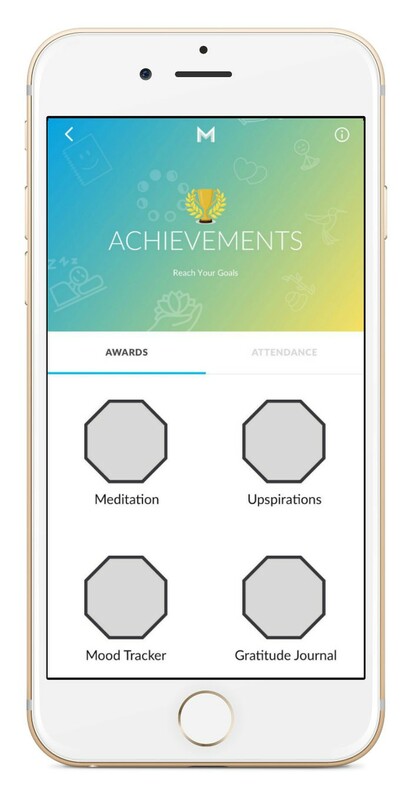 With our new update, you will now be rewarded for your achievements while using the Masters of Mindfulness app. These badges represent important milestones in your journey to becoming a Mindfulness Master. Once you update your app, you can find these by going to the "Achievements" page in the menu bar, and simply start using them to see what the badges will look like. Use the app consistently to earn Award Badges. Each badge represents a new rank achieved. When you use the Mood Tracker, Upspirations, Gratitude Journal, or Meditations consistently for five days in a row, you will earn part of an Award Badge. Keep flexing those mindfulness muscles to earn the whole badge! 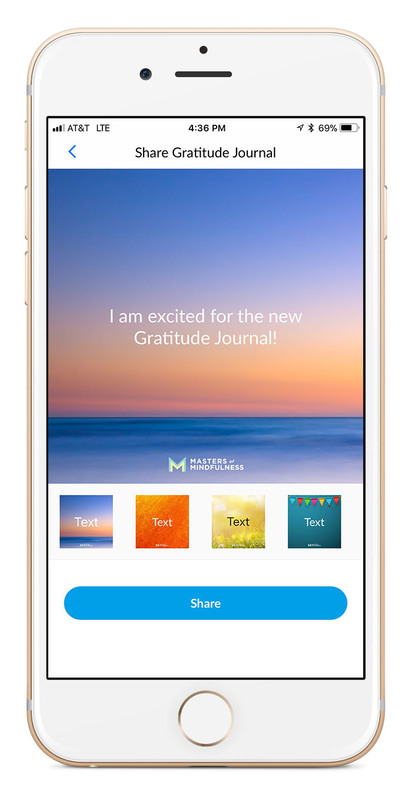 Another exciting addition is that you can now turn your daily Gratitude Journal entries into a work of art. Choose from 25 different backgrounds and fonts to create a custom inspiration to share on social media, in emails, or simply save them to your phone to look at later. You just never know when your words will inspire you - or others! 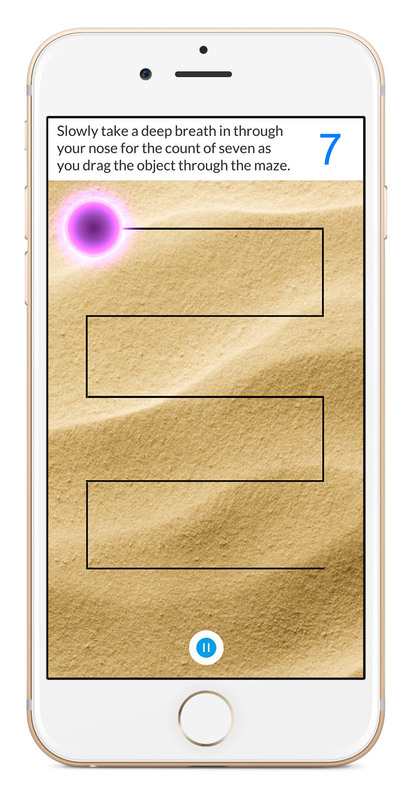 We are excited to announce the world's first ever meditation game. This simple yet powerful game will introduce you to the 7-7-7 breathing meditation in a fun and approachable way. This form of breathing represents taking 7 seconds to inhale a breath. 7 seconds to hold that breath comfortably. And lastly, 7 seconds to exhale the breath. Repeating this pattern calms the mind and helps you to relax on many levels. We've set it to start at the standard 7 seconds, but once you succeed at that level, you will have the option to increase the breathing increments up to 14 seconds. So instead of laying in bed scrolling on your phone until you fall asleep, try playing this meditation game to relax your mind and prepare it for a restful, rejuvenating night of sleep. You won't regret it!